Our guide to Brooklyn will help you find the best kid friendly parks in Brooklyn New York. There are tons of great kid friendly parks in the city of Brooklyn, our city guide will help you find the best kid friendly parks. 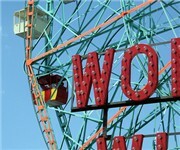 You may have a hard time deciding what to do in Brooklyn, but we make your decision easy. 1904 Surf Ave, (609) 258-3000 - The park offers a playground, a fitness center, basefall fields, tennis courts, a walking path, and a field house. 23 New Dock St, (718) 858-4708 - Empire-Fulton Ferry State Park is a nine-acre waterfront park along the East River in Brooklyn, between the Manhattan and Brooklyn Bridges. 2598 Albemarle Rd, 639967511226 - This is a community build playground. 5699 18th Ave - Gravesend Park is a kid friendly park located in Brooklyn NY. 65th St - The Belt Parkway Promenade is a kid friendly park located in Brooklyn NY. 764 E 93rd St, (201) 451-0006 - Railroad Playground is a kid friendly park located in Brooklyn NY. 7th Ave & 43rd St, (718) 622-2082 - Sunset Park sits on the highest point in Brooklyn and affords a beautiful view of the Manhattan skyline. Ave U & E 38th St - Brooklyn's largest park, Marine Park consists of 530 acres of grassland and salt marsh, protected as a Forever Wild preserve. Brooklyn Ave & Park Pl, (718) 773-7208 - Located in the heart of Crown Heights, Brower Park has been an outstanding educational and recreational resource for children for over a century. Carroll St & Ct St - Carroll Park contains two playgrounds; basketball, baseball, and bocce courts; a sprinkler, and plenty of picnic tables and benches. Columbia St & Bay St, (212) 348-8882 - Bush Clinton Park is home to the Red Hook Recreation Center. 1555 Linden Blvd, (718) 345-2706 - Brownsville Recreation Center, known initially as the Brownsville Boys' Club, first opened in 1953. Glenmore Ave & Mother Gaston Blvd, (718) 495-5079 - Howard Playground & Pool is a kid friendly recreation located in Brooklyn NY. There are plenty more kid friendly parks in Brooklyn. 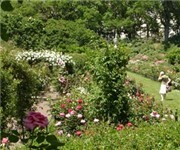 See all kid friendly parks in Brooklyn New York.